The three outputs to the left produce, similar to a sample and hold, stepped random voltages with random probabilities of the spread. 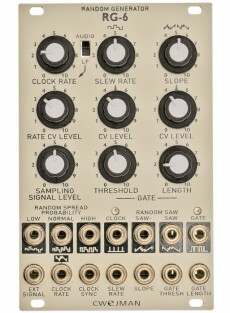 The internal clock generator is used here as well as an internal noise signal which acts as a sample source for the S and H. Instead of the noise you can apply an external sampling signal. It can be coltrolled in level what will affect the random voltages. 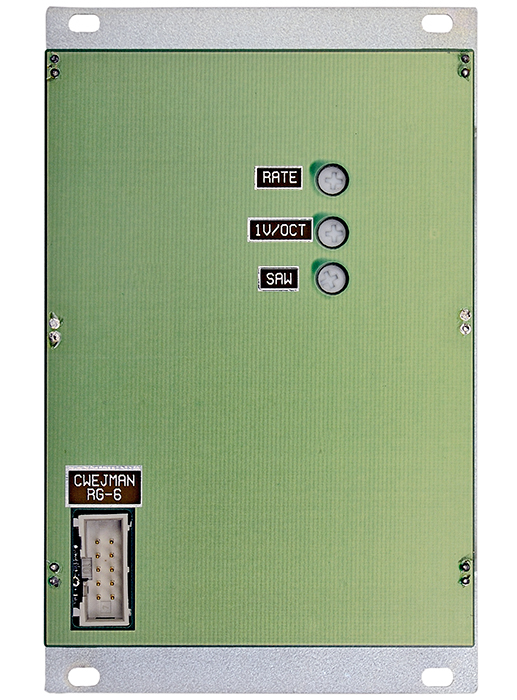 The voltage controlleable parameter SLEW smoothes the stepped voltages. The clock can be tapped at an individual output. Two outputs carry a random sawtooth signal - the first output is phase inverted, the second output has positive polarity. The voltage controlled parameter Slope affects the level and polarity of the sawtooths. 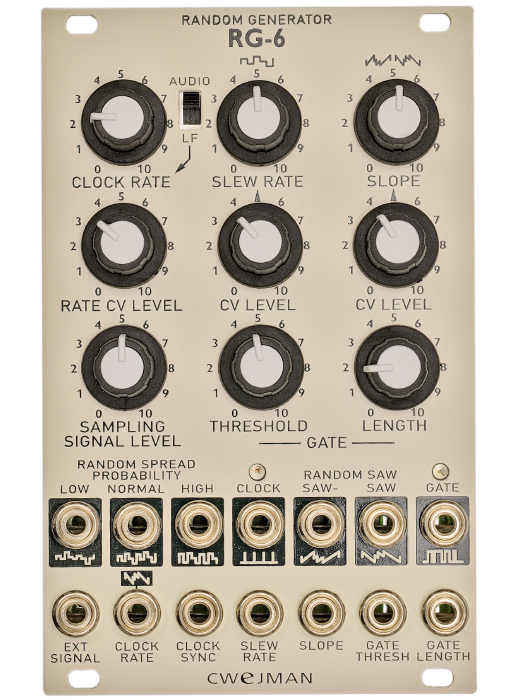 The positive sawtooth output is normalized to the clock rate CV input and easily creates random clock. Random gate signals are generated, depending on the state of the random sawtooth. The sawtooth´s level is being analysed and when exceeding a adjustable threshold a gate signal with controllable length is produced. Both parameters, threshold and length are voltage controllable. 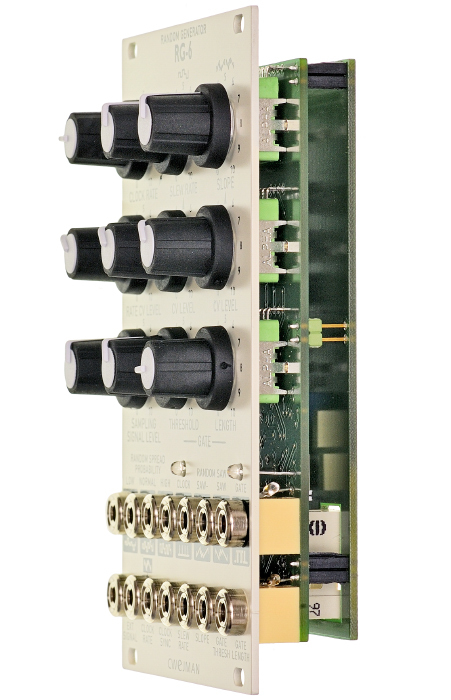 All Cwejman modules are screened against interferences, protected against reverse polarity and contain calibration options on the backside.